Our Cimarron 55 ft L x 14 ft W x 12 ft H residential batting cage frame is an easy and economical way to hang a batting cage net in any open space. Kit comes with everything you need to assemble and hang your net. 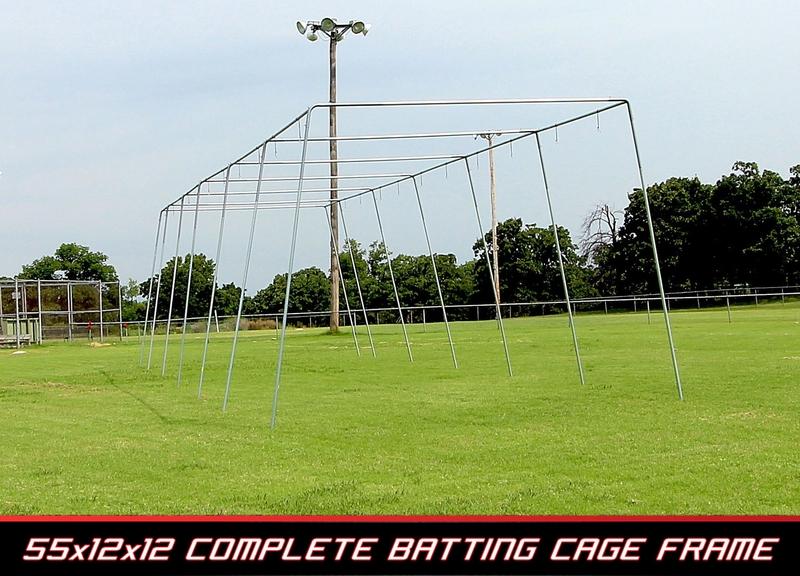 THE CIMARRON GUARANTEE: Cimarron Sports guarantees 100% satisfaction with your 55' x 14' 12' Batting Cage Frame. Products may be returned for a refund within 31 days of the date the product was shipped to you, when returned in accordance with the Cimarron Sports policies outlined in the Shipping & Returns section of this website. Click here to download an easy to read, printable PDF of the Cimarron 55x14x12 Complete Residential Batting Cage Frame Owner's Manual.